Earthquake today in Assam: A moderate earthquake was reported in Northeast India today. Tremors were felt in West Bengal and parts of Bangladesh. 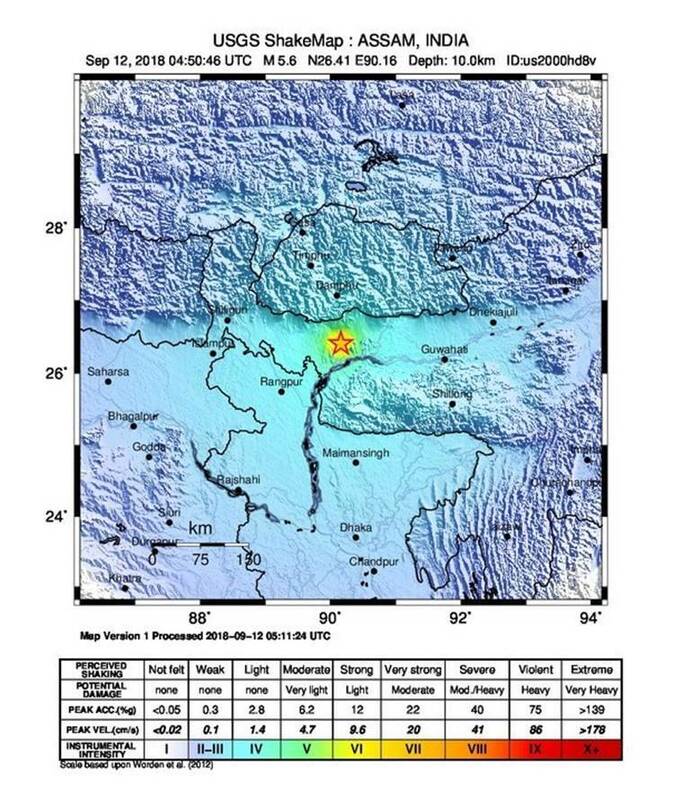 Earlier today, light tremors were felt in Jammu and Kashmir as well as in Haryana. An earthquake of magnitude 3.1 occurred at 5.43 am in Jhajjar, Haryana while an earthquake of magnitude 4.6 on the Richter Scale occurred at 5.15 am in Jammu and Kashmir.